It is pretty evident from the title that I am going through a phase which is experienced by almost half the population more often more than once. Anyhow, this isn’t a rant! So, read on..! First of all this is just a beginning of an entirely new phase of fatherhood. Nevertheless, the waiting period with minimal knowledge of a new life is confusing, let alone comforting. I am not here for any counselling or offering some kind of self-help. I am just trying to put the myriad emotions onto pen and paper or rather binary bits as it is nowadays. We have almost cleared the air about what to name the child for the possibility of both gender. Name for the girl child was decided almost three years back and since then the name is so everyday in our marital parlance. For the boy, it had been really difficult, but I think we have zeroed into one. No! it’s not Özil. From the beginning of wed-lock we wanted a girl child, but the overdose of two nieces in my home have taken out the charm a bit. Anyhow, the last 8-9 months have prepared us to be super happy and excited about our child rather than the gender of the child. In the first trimester, it had been really difficult to play the role of an expecting father. She had been really cool with morning sickness and fatigue, she had very little spells of sickness and she was active most of the time. But, she would question me about my excitement levels and I would wonder. Am I really excited? I can’t sense any change in her body let alone my body. My diet, sleeping patterns and potty days are not changed a bit. Only my carnal pleasures have taken a beating. I would have to muster from the bottom of my psyche to find some excitement, it might have felt flat for her. My face is pretty frank regarding that. I try to cheer her up by giving her some same short advice I give my running friends. Eat lot of fruits and veggies and take lot of fluids, THAT was the level of my excitement. meh! It was pretty hard even after she started sporting a bump in the second trimester. She could sense a new life taking up inside her, it is so magical that she would glow. I felt like a footballer sitting in the bench. She would ask me to sense heartbeat and I either have to lie or make her feel bad. I try to evade those questions by all sorts of trickery. It was hard, the mood swings wouldn’t help either. And we didn’t have the freedom to even cuddle. It was clumsy, it was confusing. The second trimester scan wasn’t attended by me and I was told that her mother’s eyes welled up as she saw the images on the computer screen. Feeling left out? Poor daddy! Things started to get better as spring neared and she entered her third trimester, it all began with the celebration of conception known as ‘valakaapu‘ where she is made to wear all sorts of bangles and eat tonnes of food. Soon, I went for a road trip, more of a hibernation. The time gave both of us to reflect and a peaceful time from each other to readjust to the realities. Once we were back, It was heaven once again. I could feel the kicks, I could hear strange voices and the baby Runster would muster a slow-mo sweep all across her belly and I get goosebumps. Getting ready for a new page in our lives..! It was all play. It was all fun. Though I haven’t seen our baby in the scanning room. I have already dreams/plans for father-daughter bike rides or father-son shenanigans..! The name is ready, the crib is ready. The world awaits you. 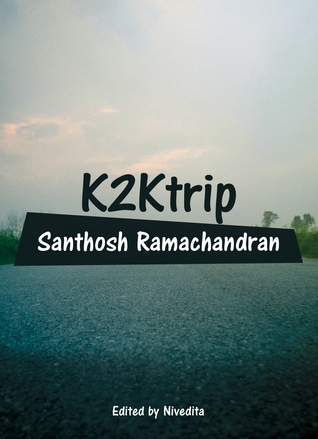 ← Check out Tales of K2K trip in a short trailer..!